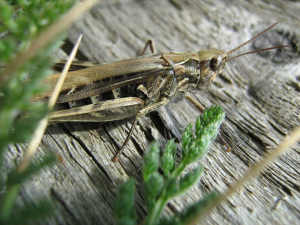 Observation - Field grasshopper - UK and Ireland. Description: Grasshopper sunning itself on railway sleeper. Grasshopper sunning itself on railway sleeper.